They say it takes a village to raise a child; and when the whole village (and a team of skilled architects) chips in, the result can benefit the community’s entire population via a hand-built school designed with ‘earth architecture.’ The METI ‘hand-built’ primary school in Rudrapur Dinajpu, Bangladesh, “uses traditional methods and materials of construction but adapts them in new ways.” Austrian architect Anna Heringer and Eike Roswag from Germany led a team of local craftsmen, pupils, parents and teachers in the execution of the project, which took just four months to complete using local materials: bamboo, straw, jute rope, and an earthen mixture for the walls and foundation. This school is fantastic. 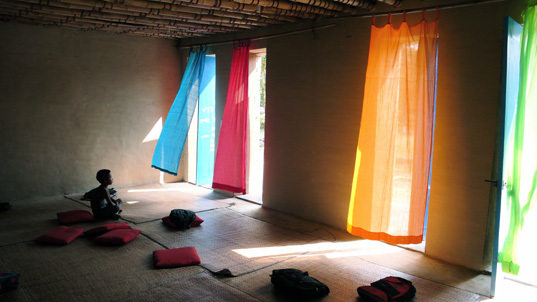 A really great design and a fantastic humanitarian effort. However why is it getting so much press now? It was built at least a few years ago. A professor of mine used it in a presentation in 2006. I realize it just showed up on Arch Daily but still, what are people creating today or at least this year that is making a difference? 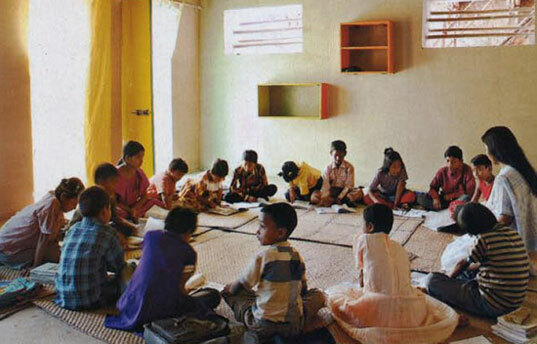 They say it takes a village to raise a child; and when the whole village (and a team of skilled architects) chips in, the result can benefit the community's entire population via a hand-built school designed with 'earth architecture.' 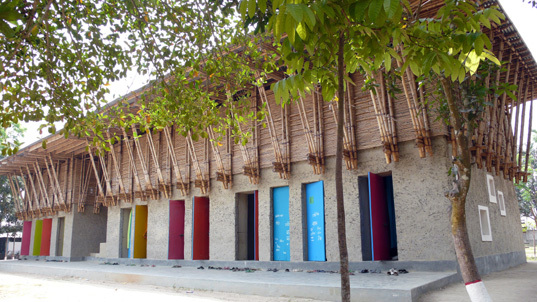 The METI �hand-built� primary school in Rudrapur Dinajpu, Bangladesh, �uses traditional methods and materials of construction but adapts them in new ways.� Austrian architect Anna Heringer and Eike Roswag from Germany led a team of local craftsmen, pupils, parents and teachers in the execution of the project, which took just four months to complete using local materials: bamboo, straw, jute rope, and an earthen mixture for the walls and foundation.